Let’s Encrypt is a new Certificate Authority (CA) that offers FREE SSL certificates that are just as secure as current paid certificates. The encryption within HTTPS is intended to provide benefits like confidentiality, integrity and identity. Your information remains confidential from prying eyes because only your browser and the server can decrypt the traffic. Integrity protects the data from being modified without your knowledge. The Let’s Encrypt project is a large step forward for security and privacy on the Internet. Anyone who has gone through the trouble of setting up a secure website knows what a hassle getting and maintaining a certificate can be. Let’s Encrypt automates away the pain and lets site operators turn on and manage HTTPS with simple commands. Using Let’s Encrypt is free, so there is no need to arrange payment. Let’s Encrypt limits the number of certificates that can be issued to any particular domain each week. This is done in order to prevent abuse. More info about Rate Limits. We recommend that most people start with the certbot client. It can simply get a cert for you or also help you install, depending on what you prefer. It’s easy to use, works on many operating systems and has great documentation. If certbot does not meet your needs, or you’d simply like to try something else, there are many more clients to choose here. Let’s Encrypt will begin issuing wildcard certificates in January of 2018. Wildcard certificates are a commonly requested feature and there are some use cases where they make HTTPS deployment easier. This is useful in scenarios where you are terminating incoming SSL traffic at web server and are interested in implementing a web application firewall (ModSecurity) to protect the web server. 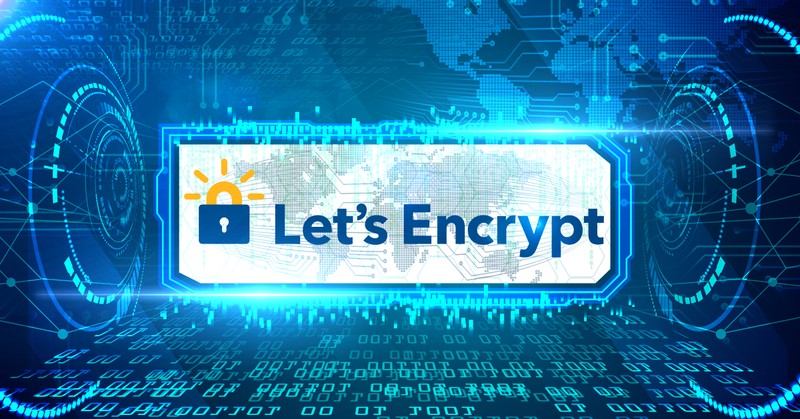 Now you can start using free encryption easily, just start using and check out more in Let’s Encrypt website.